In 2017, the Lao government approved a controversial project to build a dam that will displace thousands of people and will affect ecosystems in the Mekong river. 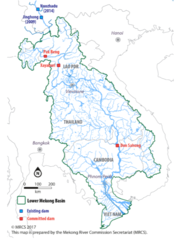 The Pak Beng Hydropower Project is the first dam in the cascade of hydropower projects planned on the mainstream of the Lower Mekong River, most of them in the Laotian part of the river. 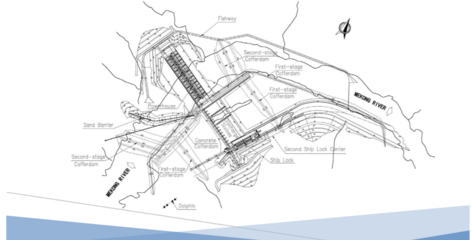 With an installed capacity of 912 megawatts, the dam will be located about 14 kilometers north of the town of Pak Beng, in Laos, and 92 kilometers from the Thai border . 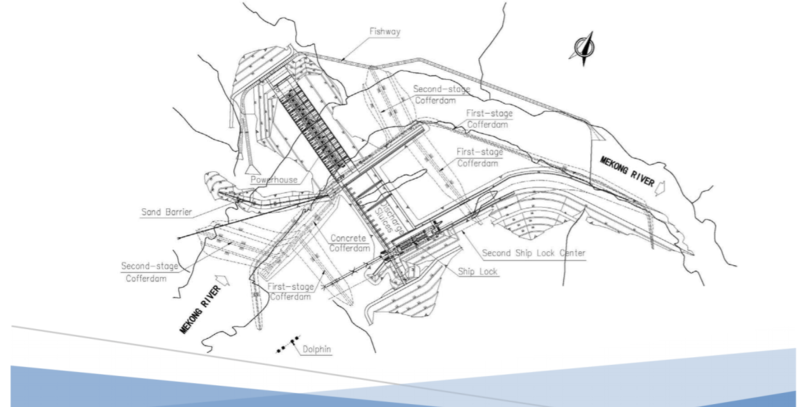 Approved by the Lao government in February 2017 , even though the project was first considered in 2007, the dam has been very controversial due to its potential local but also transboundary impacts. Thus, the official Social Impact Assessment identified 26 villages in three provinces of Oudomxay, Xayabury, and Bokeo in Lao PDR to be directly impacted by the project with a total of 923 families or 4,726 people affected . 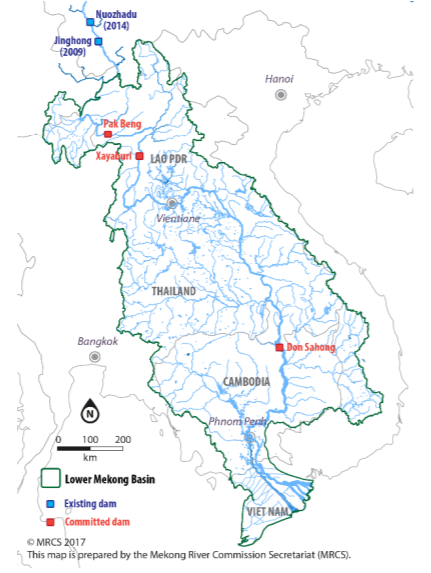 The organization International Rivers published an independent review of the Environmental Impact Assessment that highlighted that the report done by the company contained an inadequate analysis of the impact of the dam in the fish populations and limited assessment of the social impacts, both in Laos and in Thailand . The Mekong River Commission has also recommended  to conduct further studies on the impact on the reef of Keng Pha Dai, “recognised as a natural monument for demarcating national border between Thailand and Lao PDR” and improvements in the management of sediment. 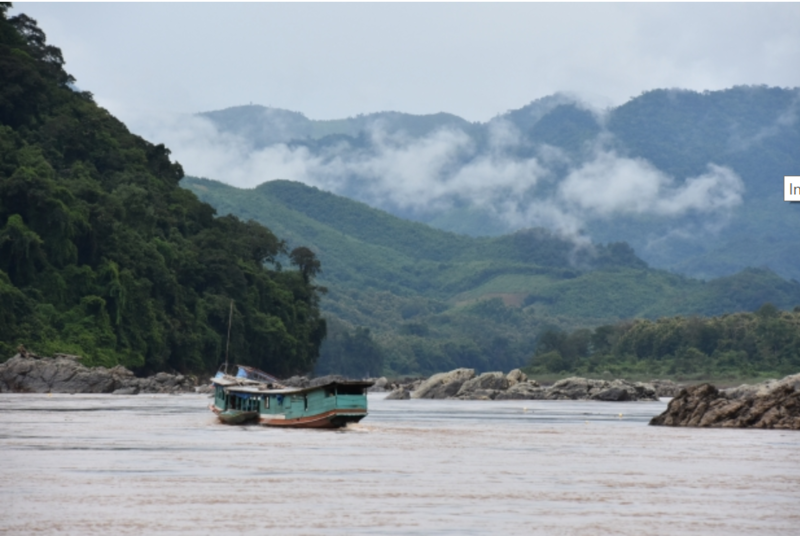 Sediments are one of the main environmental concerns regardings dams in the Mekong river since changes in the patterns can have important impacts for the downstream ecosystems, especially in the Delta, located in Vietnam. The project has also been challenged in court. On 8 June 2017, the Rak Chiang Khong Group representing a number of Thai communities living close to the Mekong river filed a lawsuit against two Thai agencies, the Water Resources Department and the Thai National Mekong Committee, for flaws in the Procedures for Notification, Prior Consultation and Agreement (PNPCA), that the government was supposed to conduct before approving projects in Mekong river. The case was initially dismissed in the lower court. In November 2017, the Supreme Administrative Court agreed to consider an appeal . Laos government has been heavily investing in hydroelectric projects over the last years as a part of its plan to become the battery of Asia and turn the exports of electricity one of its main revenues. According to the Lao News Agency, in 2017 had 46 hydroelectric power plants with 54 more planned or under construction. Some of the most controversial dams, due to their social and environmental impacts, are Xayaburi, Don Sahong and Nam Theun 2. Development of Alternatives NGOs are proposing to change the energy model in the region to promote other alternatives such as solar energy. Why? Explain briefly. The project is still ongoing even though a case is open in a Thai court.